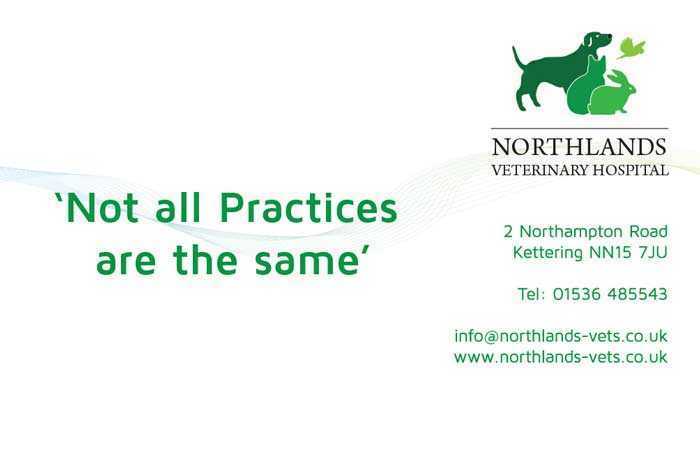 To rebrand a veterinary surgery originally formed in the 1960's as a mixed animal practice providing services both to the general public and farming community. Over 50 years on and now covering most of Northamptonshire through four surgeries and a hospital, creative requirements were for a full website redesign, a varied suite of marketing and stationery material, along with a fresh new brand mark, drawing on its community heritage, ensuring a look and feel of a local county practice and not a commercial franchise. We created a brand mark design drawing on animal iconography wrapped within a green spectrum colour palette. 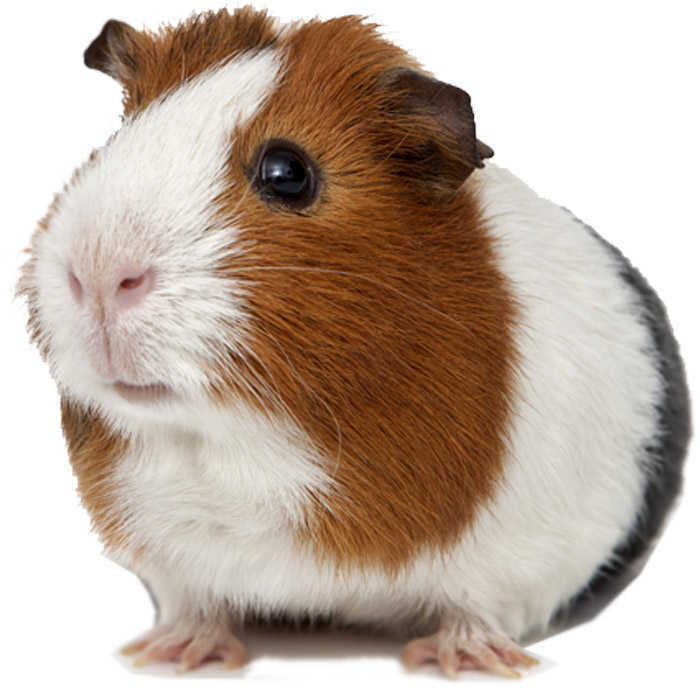 From this we were able to design and build a clear and intuitive mobile responsive website with a CMS and social media integration as well as apply the brand to a full suite of stationery and ancillary printed items, including appointment cards for pets and owners. Northlands possesses more than just clinical excellence, it also has a genuine love and devotion to the pets they care for. 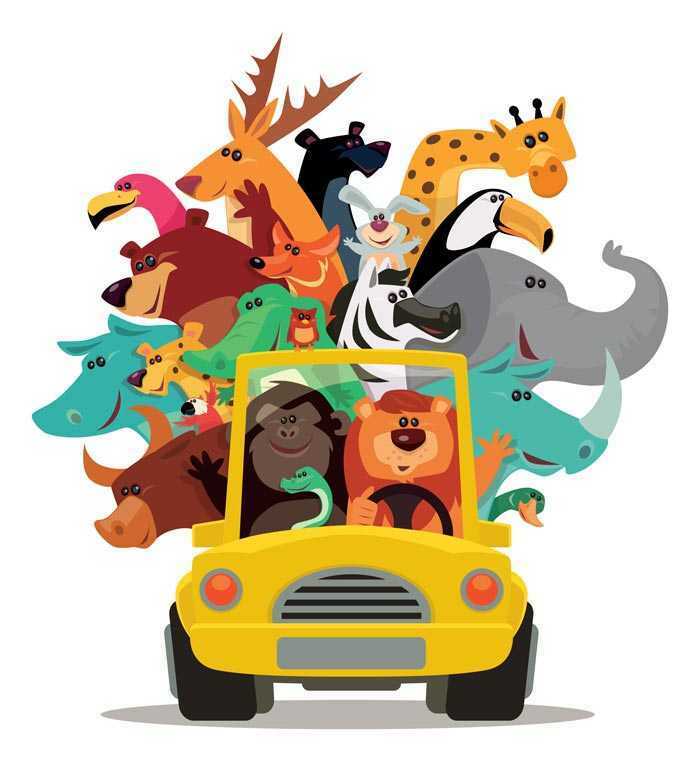 We made certain their many initiatives including Wabbit Wednesdays, Bug Buster and VIP Furever were as prominent as their community involvement. As a Practice we have used the design, print and website creation services of Seventy9 for over 10 years now. Seventy9 provide a very professional, modern and fresh approach to our needs. We feel that the team are very knowledgeable and flexible when it comes to putting into place our ideas and keeping us abreast of latest IT changes. Our close relationship helps us to develop seamless links between our websites and social media to create a very effective and targeted client contact. 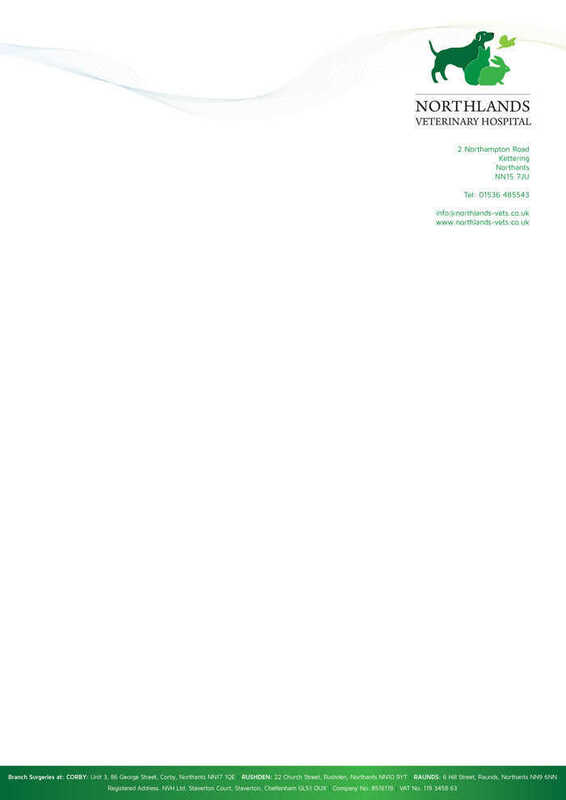 No other Veterinary Practice in the region operates a hospital for pets, especially one with in-house laboratory, MRI scanning, digital x-ray, laser therapy and orthopaedic services. 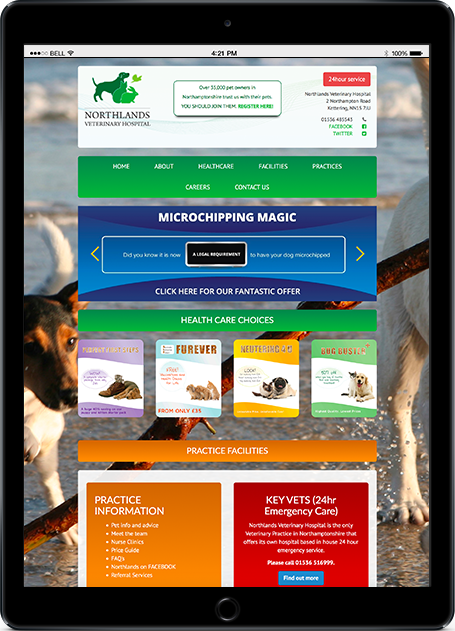 Our fully responsive website adds to this level of care with forms for pet registration and microchipping, allowing instant call-up of medical history.